Mix 1 1/2 cups of PVA craft glue with 1 1/2 cups of water in an plastic container to create a watered down glue. An empty milk container is perfect for this, as you can replace the lid and give it a good shake to mix. In another plastic bowl add 1 tablespoon of borax to 4 cups of water. Next combine the glue mixture and the borax mixture. 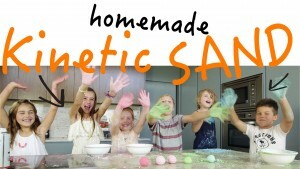 You should get a really cool slimy consistency (like GAK) when you mix it! Now for the exciting part! 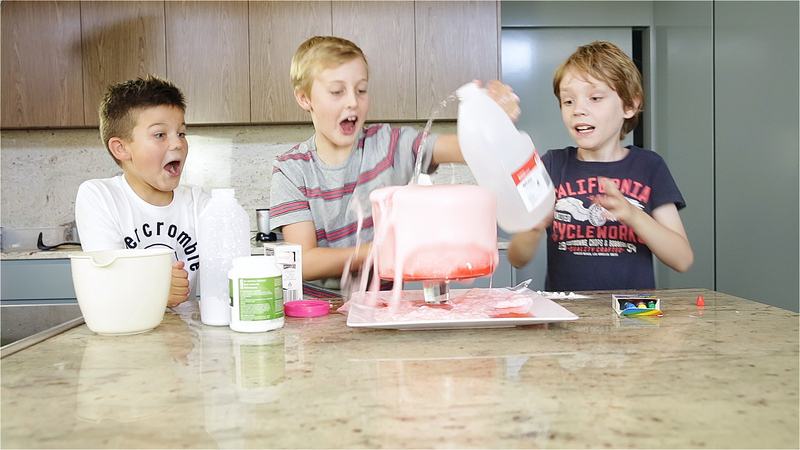 You’re all ready to make your volcano slime erupt! Add a tablespoon of baking soda, and a cup of vinegar, until your volcano starts to froth. Add more baking soda and vinegar for a bigger eruption! It is a bit messy, so you may want to conduct this particular science experiment outside. 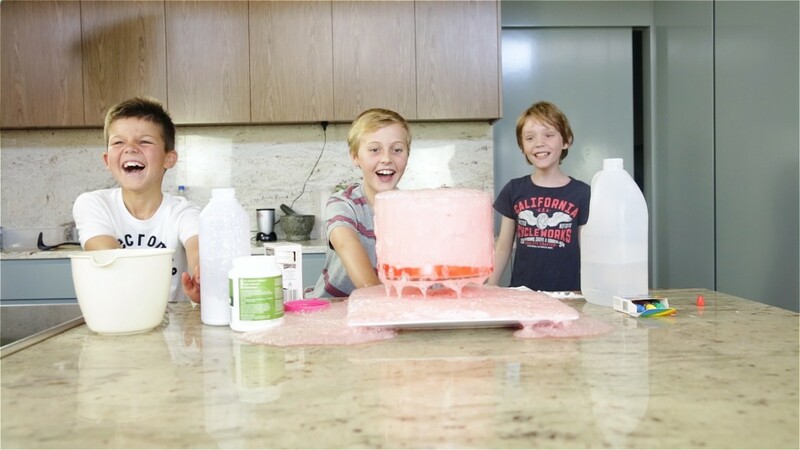 You could even build a volcano shaped mound in some dirt or sand, hollow out the middle and conduct your experiment there for a realistic volcano shaped eruption!!! 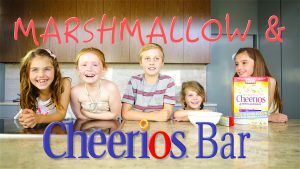 Or whip up a batch of these super-easy marshmallow cheerios bars – only 3 ingredients! Next articleRyan Reynolds Talks About Fatherhood, Hallucinations And Lack of Sleep!